Can you choose a dentist from their website? As you can tell as you explore our own dentists Manchester website we put a great deal of thought and effort into making it as comprehensive and informative as possible. Yet despite all this thoroughness we still believe that being recommended or referred to a dentist – and talking to them and maybe even speaking to some of their patients – is the best way. At Carisbrook Dental no fewer than one in three new patients come to us by way of a recommendation from family or friends and many more are actually referred to us by their own dental practitioner. The website, however, is a great place to start. You can for instance, check out the dentist’s facilities and qualifications. You can also find out whether they just provide regular and routine dental services or whether their practice offers any specialist services. For instance on this, the Carisbrook website, you’ll see that in addition to routine dentistry we also offer specialist treatments such as Cosmetic Dentistry, which includes teeth whitening, white fillings and porcelain veneers as well as gum contouring and teeth reshaping. 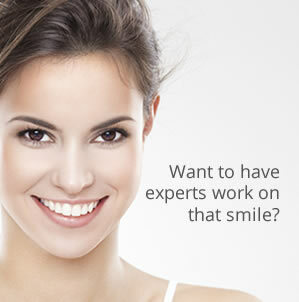 Our Restorative Dentistry treatments cover broken teeth, inlays and onlays, crowns, dentures and bridges. Preventative Dentistry services feature routine hygiene, the treatment of gum disease, and screening for mouth cancer, along with a range of children’s dental treatments, tooth decay and even treatment for bad breath. At Carisbrook we are also recognised as one of the country’s leading specialists in dental implants, while our General Dentistry treatments cover root canal therapy and extractions. Our specialist in-house Orthodontics team are all highly-qualified experts in correcting crooked or misaligned teeth and among the treatments available are the latest fixed braces, invisible braces and removable braces. The other way we recommend that you choose a new dentist is to listen to what their patients have to say about them. Be careful though, not all ‘testimonials’ are as authentic as they may be made out to be. If you go to our Smile Gallery though you will see a number of patients who are very happy to talk about their experiences. The beauty of these testimonials is that you can hear our patients as they appear on video so you can be certain that they are one hundred percent genuine. If you would like to speak personally to any of the people featured we will gladly put you in touch. So our answer is yes, by all means look at websites and compare them, but don’t rely on them to make your final decision. If you would like to speak to us at Carisbrook Dental please don’t hesitate to call us on 0161 951 7295 or send us a message via our Contact page and we will be pleased to call you back.